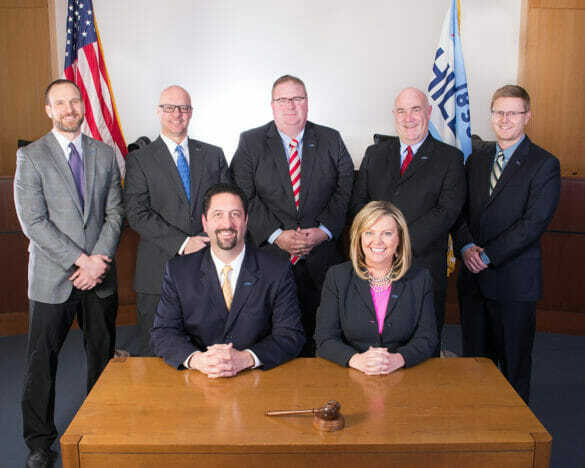 Hilliard City Council approved an approximately $17.8 million capital improvements budget at its Monday night meeting, funding major projects for 2019 ranging from transportation and parks improvements to the start of installation of a citywide fiber optics network. The budget has been discussed and reviewed at numerous public meetings since last fall. Council OKed the CIB by emergency action Monday night to allow departments to avoid delays that could cause project costs to escalate or even prevent the City from finding contractors. The capital improvements budget (CIB) pays for current year projects and equipment that have an extended lifespan, typically at least five years. That includes everything from infrastructure projects and land acquisition to the purchase of police cruisers and streets vehicles. The budget reflects current-year expenditures that are part of the longer-range, five-year capital improvements plan (CIP). A copy of the 2019 CIB is available for review here. As is common with the CIP, the largest expenditures encompass significant improvements to transportation. Modifications at City roundabouts, to include raised crosswalks at Scioto Darby and Leppert roads and at Scioto Darby and Veterans Memorial Drive. Improvements on Franklin Street near Old Hilliard. In addition to approving $2.1 million for improvements at Hilliard swimming pools, Council also OKed funds for other Recreation and Parks projects. These funds will go toward land acquisition for future parkland, work on the Miracle League baseball field for children with disabilities at Grener Field, and other improvements in Hilliard’s parks. Council approved funding for several capital projects that will enhance safety in the community. Those investments include funding for new police cruisers and other personal safety equipment for officers, as well as upgrades to technology and facilities at the Safety Services Center. Council approved $2.9 million for the first phase of a citywide fiber optic network. This network will promote economic development and business expansion and retention by expanding existing data and communication resources. The network also will eventually provide additional data communication capacity for other area organizations. The CIP also includes funds for a variety of infrastructure projects, including sanitary sewer construction and maintenance, water line installation and replacement, and the ongoing detention and retention basin rehabilitation program.